Lexi’s Choice and Itasca landed the money for Singleton but he was disappointed when Stock Up finished fourth in the $150,000 PolyTrack Provincial Championships Qualifier (1350m). 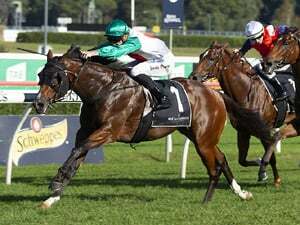 Stock Up may miss out on being the fourth emergency for the $500,000 Final at Randwick on Saturday week. 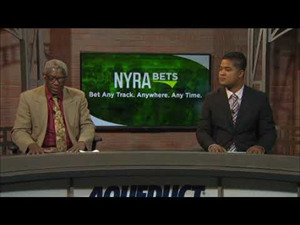 Under the conditions, four emergencies can be declared from the five fourth placegetters in the qualifiers. The first three in highest benchmark order will be Mandylion, Fuchu and Ellie’s Encore. Stock Up and Juventus both have a benchmark of 67, but the latter has the slightly higher average prizemoney from the last five starts. Singleton won three races earlier in the year before winners dried up. He was understandably delighted to break the drought when well-backed Lexi’s Choice scored at her eighth start but not before she had to survive a protest that was dismissed. Hawkesbury trainers won five races over the weekend taking their tally of wins so far this season to 105. Brad Widdup made it a Wyong treble when Lily Astolat broke through for a maiden win while Richard Nutman’s patient handling of the promising So You Think mare Mediate paid another dividend at Nowra on Sundaytoday when she made it three wins from as many starts. At Armidale husband and wife training couple Philippe and Tara Vigouroux celebrated when their eight-year-old mare Enigami did the job. Widdup lifted his season’s tally to 27 when well-bred filly Lady Astolat prevailed in a tight finish at only her third start. Meditate is going through her classes with ease and not only maintained her unbeaten record at Nowra but took her aggregate winning margin to 10 lengths. Enigami notched the sixth win of her 61-start career, and she has been placed on 23 occasions. She gave Team Vigouroux its ninth win of the season. Another Hawkesbury trainer Bernie Kelly provided the provincial track with its sole outright qualifier in the $500,000 Provincial Championships Final when his talented gelding Bobbing put up an outstanding performance to finish second at Wyong. 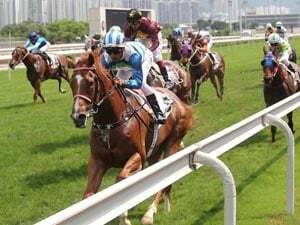 Resuming after an interrupted preparation, Bobbing claimed one of the remaining three places in the 15-horse field when he came from last and circled the field before going under narrowly to city winner Turnberry in the fifth and final qualifier (1350m). He was partnered for the first time by Koby Jennings, and Kelly and his wife Ann clearly were happy with his effort to get the lightly-raced five-year-old into the rich final on Day 2 of The Championships. Bobbing has been generously listed as an $11 chance with TAB in the fixed odds market on the Provincial Championships Final. Kembla Grange-trained Archedemus, winner of the Newcastle qualifier, is the $4 favorite ahead of Spring Charlie ($6) and his stablemate and Hawkesbury opening heat winner Safado ($7). Golden Tycoon and Evalina, who ran the quinella in the qualifier transferred from Gosford to Newcastle are next at $8. Jennings’ booking for Bobbing in the Provincial Final means he is returning to the scene of his stakes breakthrough in the Listed June Stakes at Randwick for Newcastle’s Kris Lees in 2016.